The global multi-process human resources outsourcing (MPHRO) market will sustain its 6-8 percent annual growth over the next three years and will exceed the US$5 billion mark by 2020, according to Everest Group. 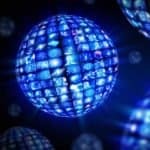 This growth trajectory is fueled by enterprises increasingly seeking strategic partners with the expertise to support a next-generation HR model wherein technology is leveraged to not only provide cost reduction and process efficiency but also orchestrate a seamless, intuitive employee experience. Analytics: Analytics solutions can have a significant impact in mitigating all business challenges faced by enterprises through enhanced visibility and control. However, despite the growing adoption of basic analytics solutions, advanced analytics penetration within HR still remains relatively low. Automation: Automation has the potential to bring about enhanced efficiency and reduce error rates, thus reducing the cost of operations. However, since the HR landscape already has a high leverage of technology, basic automation has found limited penetration. Nevertheless, with advanced forms of automation solutions (such as artificial intelligence) gaining traction, the scenario is slowly changing. Cloud: Cloud has become a major disruptive force in reengineering HR operations. Cloud-based solutions not only provide an elevated employee experience, but also offer an integrated view of the data, allowing enterprises (or providers) to glean strategic insights to overcome many talent-related challenges. 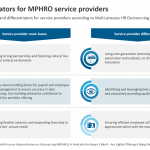 These findings and more are explored in Everest Group’s recently published report, “Multi-Process Human Resources Outsourcing (MPHRO) Annual Report 2019 – Unraveling the HR Conundrum Through Digital Adoption.” This research provides comprehensive coverage of the 2017-2018 HRO market and analyzes it across various dimensions such as market overview, evolving market situation, and buyer adoption trends. The market has witnessed adoption from first-time outsourcers as they venture into cloud-based HR services delivery. North America continues to dominate as the primary decision-making location; however, its share is slowly being acquired by other geographies such as Asia, Eastern Europe and the Middle East. With enterprises taking a more strategic outlook toward HRO, there has been a marked increase in the inclusion of talent management processes. Enterprises want to undergo end-to-end transformation of their HR processes rather than focusing on transactional processes in isolation. MPHRO deals on third-party SaaS-based platforms are witnessing much faster adoption rates. Among prominent third-party platforms, Workday has witnessed the highest traction, followed by SAP and SuccessFactors. While manufacturing and financial services still lead the adoption in MPHRO, non-traditional adopters such as healthcare and retail have seen an uptick in adoption. The market continues to witness steady inclusion of offshoring within its deals. India retains its position as the most favored offshore location; however, providers are also investing in Eastern Europe and Latin America.